The words that I want to say about marriage have been tumbling around inside my head for a very long time, but I have never hit publish because of fear. Fear that you might think I am being judgemental. Fear that my words would hurt someone. Fear that you would see my vulnerability. Fear that I would be misunderstood. Before you read on, know this: In no way do I think that someone in an abusive relationship should have to stay. There are MANY reasons people choose to leave a relationship, and I respect those who are strong enough to do so. Not every marriage will last and I do not judge anyones choices! This is intended for those who are dealing with the 'everyday' hardships of marriage and need a little encouragement that they are not alone. With that said, I have struggled to put into words the right mix of joy, pain, heartache and faith that it has taken to get my husband and I to every anniversary. But what I have learned in my years of writing, is that every time I get scared to put words out into the world, that is when I most often hear back from people that are relieved that they are not alone in their struggle. So I'm giving this to the person who needs to hear it. Every summer social media fills up with couples paying tribute to their spouses on their anniversary. They sing each others praises and reiterate that they are just as madly in love as the day they got married. For a long time it pained me to see those posts, to read their passionate words. It always left me wondering if I was alone in feeling that marriage is harder than I ever expected. But as time has passed I have become comfortable with my own marriage and the understanding that what works for other couples does not necessarily work for us. I am not at all in love the way I was the day I married my husband. My love for him now is totally different than the emphatic, naive, young love that I glowed with on the day we wed. The love I feel after nearly nine years of marriage is one born of walking through fire and coming out scarred, wounded, and fully bared of every flaw. For better or worse, we know each others deepest faults, we have seen one anothers ugly, we have fought, and screamed, and tore each other down, and through it all we have chosen to LOVE. We are together, not because it has been easy, or even desirable at times, but because at the heart of both of us is the knowledge that we have made a choice to love one another. We choose to fight for love, to not give in when times get tough. If someone could have painted a picture with all the highs and the lows, I would have feared I wouldn't be strong enough to handle the lows and no one could have depicted how great the highs would be. I have a husband who is just as committed as I am, in fact there have been times he's held on when I no longer had the strength. God knew what He was doing when He put us together. My short comings are wide and vast and my husband is no saint; but where I fall short, he gives me grace and when he misses the mark, I choose to focus on all the good stuff instead. Its been nine years, and we still haven't figured it out. Sometimes we go on a stretch where everything fits, and the world sails by and he is by my side as my partner and confidant. When its good, it's so good that my heart feels like it could burst, so good that I cannot imagine a world without him by my side. Then there are times, where I cannot bear to be near him. My anger boils and festers to the point that we go days, even weeks with pain simmering and no idea how to fix it. But through every fight, every triumph, every late night that turns into red eyed mornings, we have never walked away. We have turned to those who stood at our wedding and vowed to support us, we have turned to a God who reminds us of grace and mercy, we have turned to each other when we are the last person we want to turn to. I feel like for some couples, it is easier. They naturally fit a bit better than perhaps my husband and I do. I am not judging anyone else's relationship. Quite frankly, I think we should never judge anyones relationships or the decisions made inside those relationships. Unless you have been there for the 2 a.m. fights, and the late night words of kindness, you have no idea what goes on inside someone else's marriage. Never under estimate the power of date night, a good laugh, a good cry, or a good therapist. Love, for my husband and I, isn't about tumbling blindly in a euphoric daze. It is often about choosing to love the other person, when loving them is the last thing you want to do. Love is about fighting for the other person when they have no fight left in them. It's refusing to give up, when walking away would be so much easier. I am lucky to have a husband who is just as willing as I am to fight for what we believe in, because at the end of the day, we believe in us. On the bad days, we get up and we choose to keep going, because we believe that the good out weighs the bad, and we have faith that things will turn around. We believe that we are together for a reason, and on the good days, we get to soak it in and enjoy the pleasures of a happy marriage. Marriage has never come easily to us and yet it has made us stronger. We have had to work for it and that has made us appreciate it even more. We know that the hard times are inevitable and I hope we will continue to fight through it together. We try not take for granted the good times, we know that they are to be celebrated, because we have earned them. So as we head into wedding season, just know that no ones relationship is perfect. If you have to fight for your marriage, if you work for it, if you cry over it, pray over it, pour yourself into it; you are not alone. *A refreshingly honest podcast interview with Cheryl Scruggs on the work that goes into marriage. 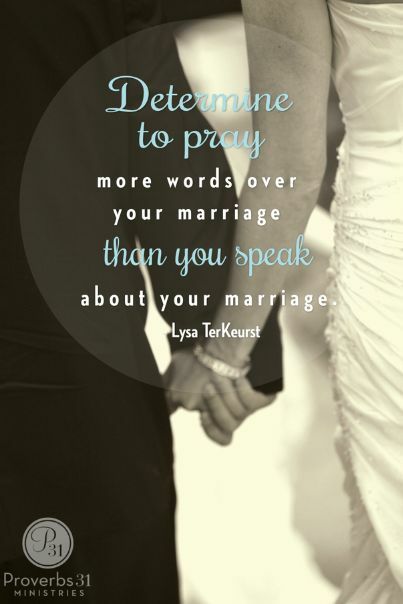 *A great devotion on finding contentment in your own marriage and not comparing it to others.